Happy Blogmas everyone! This will be my second Christmas as a blogger but my first time attempting Blogmas. 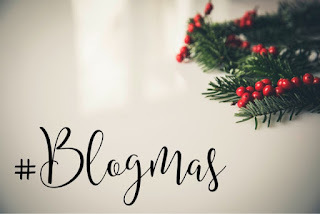 If you’re not sure what Blogmas is, the idea is that you post once a day from December 1st for 25 days until Christmas Day with the topic being, you guessed it, Christmas!! To kick things off on day 1, I’m going to do my A – Z of Christmas. Here goes! Because who doesn’t love an Advent Calendar? Of course ‘C’ had to be Christmas Day itself. I love Christmas! I love decorating my house for Christmas! I’ll be getting the decorations out and starting to put them up over the next week! We’ll be getting an Elf on the Shelf this year! And we’ll more than likely dress up as an Elf on Christmas Day again! I genuinely don’t know anyone who isn’t happy at Christmas time! Jingle Bells, Jingle all the way. Oh what fun it is to ride on a one horse open sleigh! Although he appears in many Christmas films, if you haven’t seen Miracle on 34th Street then do you even like Christmas? I love putting up the lights and going around town and the streets looking at the lights that people have put up on their houses! Did anyone else take part in their schools nativity before film & TV characters started making appearances? I’ve never owned one but this year I think I am going to treat myself. I just think they look so pretty. This is definitely the time of year to spend quality time with your family. On Christmas Day, all the shops are shut so there is no excuse for not spending time with loved ones! Because how else is Santa going to get to all those children? I’m lucky enough to live where the first Christmas Carol was filmed, and we happen to have Mr Scrooge’s grave here in Shrewsbury in St Chad’s cemetery! Tinsel gets everywhere when I get my hands on it! On the tree, around the windows, in my hair…. Christmas morning arrives, what’s the first thing most of us do? Unwrap our presents!!! Don’t forget to visit those friends and family that you haven’t seen all year! I know some people hate Christmas being shortened to ‘Xmas’ but I did some research and apparently the Church has been using ‘X’ as an abbreviation for Christ for some time! And the ‘mas’ is a shorter ‘Mass’ and therefore we get Xmas! You learn something new every day! Exactly what I’ll be doing on Christmas Eve ready for Santa to visit!